Christmas seems to have come around incredibly fast this year, the trees are decorated, the shops are filled with festive delights and Christmas songs are playing on repeat. This is honestly my favourite time of the year but there’s so much planning that goes into making the festive season perfect, it can be stressful as we prepare for the big day. There’s this whole build up that includes budgeting, gift buying, gift wrapping, meal planning, family organising, tree decorating, Christmas parties and a whole plethora of activities, especially if you have children. It’s a busy time of the year, trying to juggle work, school and family life around festive planning (parents will know the stress of attempting to wrap gifts whilst little ones are tucked up in bed). Every year it’s the same, the same amount of stress and planning to make sure that Christmas day goes smoothly and without hitch. Contact Numbers UK have launched the #OneLessWorry Campaign this year to help take away some of the stress of the festive season which I have welcomed with open arms. We can worry less about finding the perfect gifts and making sure they are wrapped perfectly. 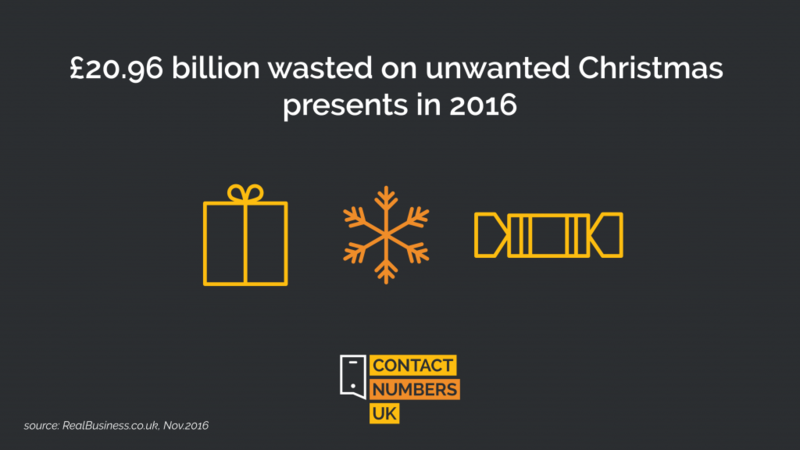 With the help of Customer service from companies like John Lewis who take care of everything from gift wrapping, gift receipts, extended warranties and in store collections, we can make the most of enjoying Christmas. It sounds really simple doesn’t it? Every year I try to stock up on all the little bits like wrapping paper, gift tags, gift bags and bows. Buying them after Christmas for the following year often means that they are reduced in price which is a win/win for me. Gift giving is one of my favourite things about Christmas but I’m sure that we can agree that we all worry about finding that perfect gift. We spend hours searching high and low amongst the hustle and bustle of Christmas shoppers. It’s a lot of pressure but over the years I have learned that it’s not a huge problem if the gift you have given isn’t perfect. There will be times when we get the sizing wrong or we give the same gift as someone else, fear not, there is always a solution. It’s not a huge deal if someone has to return a gift. Stores like John Lewis can provide you with gift receipts and an extended returns policy. I know that I’m not alone when it comes to this, I find shopping online so much easier than bracing the shops. I even buy my Christmas cards online, all from the comfort of my own home. It’s far less stressful than hunting around crowded stores but lets not forget, online shopping isn’t completely stress free. The trick is to make sure that you leave yourself plenty of time. Have you ever purchased an item and it’s not quite been what you expected and had to return it? Have you ever had the stress of wondering if your parcel will arrive on time? Don’t leave it to the last minute, make note of delivery slots and the last dates available to post items through Royal Mail and make use of designated delivery slots. I used to love Christmas gift wrapping, with beautiful paper, intricate bows and perfectly curled ribbon. Since children came along, I honestly don’t have the time (and Little Legs doesn’t quite appreciate the effort on her gifts). 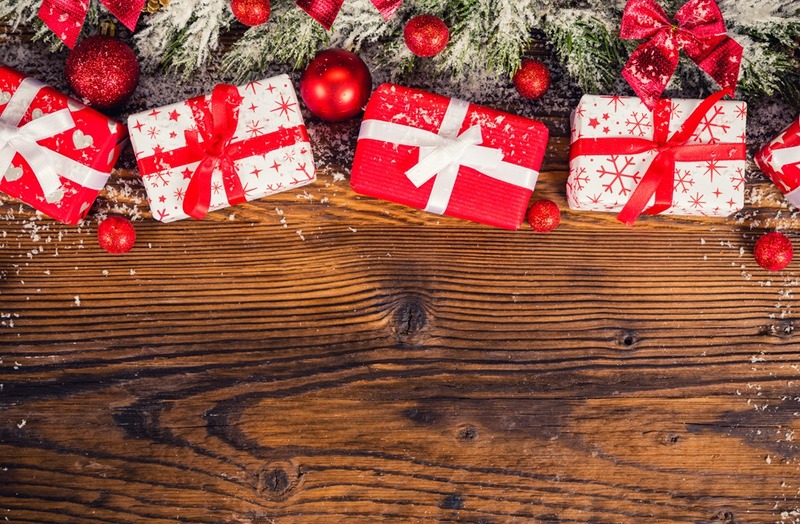 Whether you are shopping in store or online, a lot of companies now offer gift wrapping services which makes things a hell of a lot easier, so why not make the most of it? Christmas for us is usually a big family affair which can be quite costly, especially when hosting a large number. Why not ask guests to bring something with them, whether its a bottle of something fizzy, a side dish for dinner or even the pudding, it’ll help keep the costs low and means that you have less to prepare. Contact Numbers UK have a vast amount of useful numbers to make your lives easier by giving you instant access to your favourite stores, such as the John Lewis contact number.